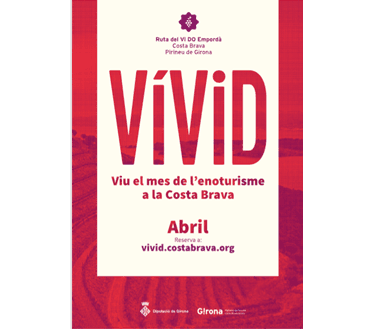 VÍVID offers, during the month of April, a selection of the most unique wine tourism proposals that can be enjoyed on the Costa Brava. In its sixth edition, the event offers some fifty wine tourism activities that will transform Alt Empordà and Baix Empordà into the epicenter of wine tourism in Catalonia. Now you can find out about all the news in our social networks. You can contact us in a simple, fast and direct, and also, you can be the first to see the new promotions and hotel offers.